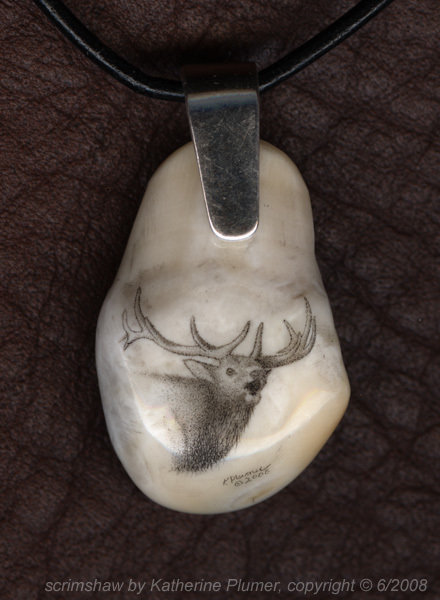 My life, under the microscope...: Elk Tooth Scrim done! 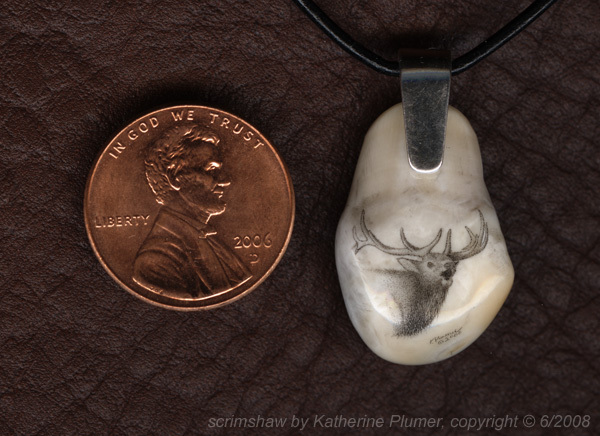 So yeah, elk teeth are definitely a viable option for scrimshaw! Granted, they are difficult. The small size, uneven surface, curved surface, hardness... but that's okay. :-) I think it makes a really neat pendant! There's not a lot of other news to tell. I may be dancing at the Galt Festival July 6th (evening?). I wasn't going to do it since I'm going to miss a few classes beforehand but... eh, I can at least take part in the routines that I know. I'm not totally committed to it right now and don't want to stress about it but I think I can pull it off without it being an issue. We'll see. That's amazing when you hold a penny in your hand and imagine that image is smaller than Lincoln's head!